When Dan & Ollie met in 2009, one musically anarchic soul instantly recognized the other. The pair have been producing works of technical electronic mastery ever since that fateful meeting and have earned an impressive fan base wo as production duo, Bare Noize. This modest title belies an innate talent for audio engineering, meticulous production techniques, and an obsessive focus on sound quality, but Bare Noize’s tracks and mounting success have spoken for themselves. The boys are indisputable lions of the industry and continue to evolve, never lagging in their passion and ambition. From their earliest days releasing remixes and original works on huge labels such as Mau5trap, Parlophone, Interscope, Ultra, EMI, and Atlantic, the unassuming duo have emblazoned their name amongst the best producers to be found in the electronic scene. With their original discography attesting to their impressive technique and consistent development, Bare Noize were asked by industry pals Foreign Beggars to remix Medison feat. Skrein’s ‘Harry’. This was to become one of Dubstep’s most recognizable and influential anthems of 2010, racking up millions of YouTube views and alerting the world to the increasingly refined and mature sound of Bare Noize. The success of ‘Harry’ earned Dan and Ollie the attention of a then little known LA based producer going by the name of Skrillex, and the pair went on to collaborate on his double grammy award winning and Platinum certified EP ‘Scary Monsters and Nice Sprites’. From this trans Atlantic union came ‘Scatta’, which reached over 20 million views on Youtube, and a remix of ‘Kill Everybody,’ which also garnered over 10 million hits. In the same year, M’Black also commissioned the pair to produce a remix of ‘Heartbreak,’ another track that stacked up millions of listens and gained huge DJ support within the scene. Racking up this increasingly impressive portfolio of work, Bare Noize soon turned the heads of some of the music industry’s biggest names. In 2011 they were commissioned to produce official remixes of Tinie Tempah and Ellie Goulding’s ‘Wonderman’ and Lady Gaga’s ‘The Edge of Glory’. This brought the boys’ carefully crafted sound to the most unlikely audiences without ever compromising the quality that is integral to Bare Noize, and with an ever expanding fan base, they continued with a slew of releases including their EP on Borgore’s label, ‘Prepare to Die’ and ‘Twilight Zone’. 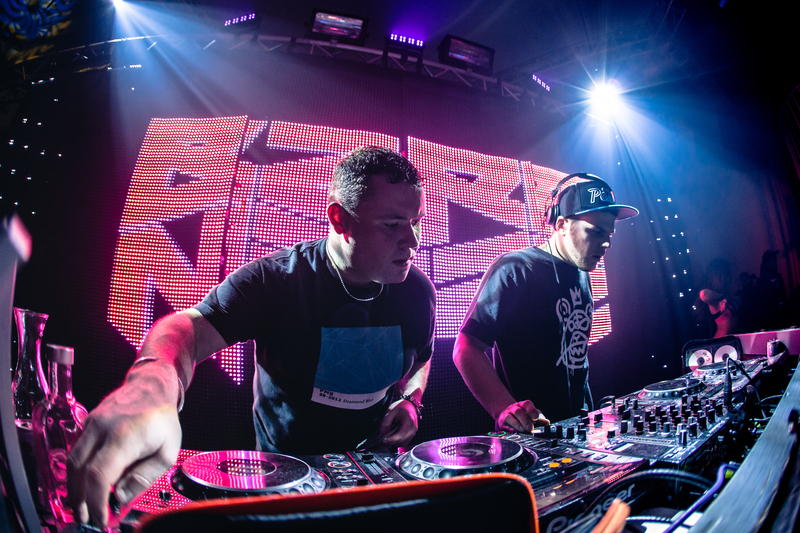 The next year saw Bare Noize back in alliance with Skrillex, on who’s OWLSA label they released ‘Kill The Silence’ with fellow electronic producer Zardonic. Other international electronic producers also tuned in, and UK Top 40 artists Drumsound & Bassline Smith called on Bare Noize to produce a remix of their popular track ‘Through the Night’. The boys quickly followed this feat with ‘See the Light’, a collaboration with Foreign Beggars that featured on FIFA 2013 and was the highest selling track on Foreign Beggars’ ‘Uprising’ album. After a restorative deviation in 2015 to build upon their extra curricular songwriting and engineering efforts, producing a number of tracks for Universal Music for use in TV & film and engineering a mixtape album for Major Lazers’ Walshy Fire, they continue to tour globally as experienced veterans of the electronic music scene. 2017 sees the guys building upon their regular appearances on world stages such as ADE, EDC, SXSW and WMC Miami with an extensive worldwide tour schedule and creation of their new imprint, LA90 Music.